Cases against big tobacco companies are not as common as they were in the 1990s and early 2000s, but people are still dying from lung cancer and suffering from other smoking-related illnesses such as Chronic Obstructive Pulmonary Disease (COPD), and cases are still being filed by products liability attorneys across the nation including our Greater Boston area. 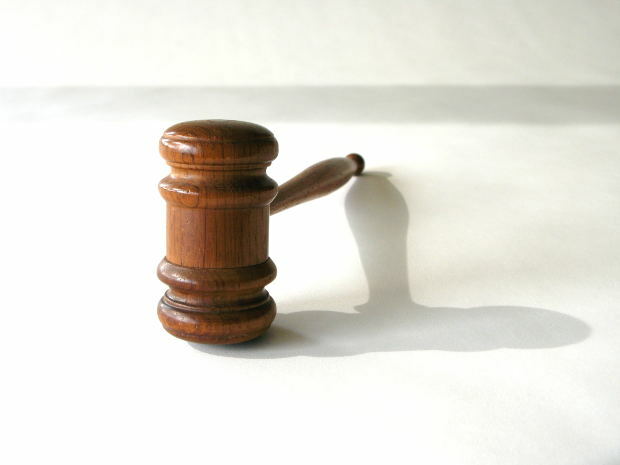 The main issue in these cases is how to deal with any fault attributed to plaintiff. While there was a time when the general public was not aware of the harm smoking could cause, and there was even a time when R.J. Reynolds used to advertise “More Doctors Smoke Camels Than Any Other Cigarette,” the dangers of smoking have long since been publicized. Smith v. R.J. Reynolds Tobacco Co. In Smith v. R.J. Reynolds Tobacco Co., a case from the U.S. Court of Appeals from the Eleventh Circuit, surviving spouse of plaintiff filed a products liability lawsuit against the tobacco company which produced her preferred brand of cigarettes. She smoked regularly for decades and eventually died of various diseases often associated with long-term smoking of cigarettes. At trial, a jury found in favor of plaintiff, but defendant appealed arguing the jury award should be reduced due to plaintiff’s alleged in negligence in choosing to smoke on a regular basis for many years. This particular case was filed under a theory of wrongful death. As our Boston products liability attorneys can explain, wrongful death is a specific cause of action, but it is generally filed under one or more other theories of tort recovery. In other words, the elements of wrongful death are defendant’s intentional or negligent conduct caused the death of plaintiff, but the elements of the underlying tort must still be established to a causal certainty. In this case, both intentional and negligent tort claims were filed. A tort is defined as a civil wrong for which the legal system provides a remedy. In this case, the wrong was allegedly killing or allowing plaintiff’s wife to die from years of smoking and the remedy sought, and awarded was compensatory damages. Intentional torts involve a plaintiff being allegedly harmed by intentional conduct of a defendant. There are various intentional torts including conversion (theft), trespass to chattels (taking property of another, but without proven intent to keep or merely damaging the property), arson, false imprisonment (kidnapping), assault and battery, fraud, as well as several others. These torts are different from negligence based torts commonly filed in products liability Cases in Boston and personal injury actions. In this case, the intentional torts pleaded were fraudulent conspiracy and conspiracy to fraudulently conceal. The conspiracy claims in products liability cases come into play if there is evidence a manufacturer or entire industry took steps to purposely or intentionally hide the dangers of their product from plaintiff or the public in general. This is what we have seen with products liability cases involving big tobacco, but also in cases involving plaintiffs who were exposed to deadly asbestos fibers and developed mesothelioma. The court of appeals was only focused on a single issue in this case and it was whether plaintiff’s negligence, under the relevant state law would preclude her from recovery. In the jurisdiction where a claim was filed the law allows for plaintiff to recover damages even when they are also negligent, but any jury verdict is to be reduced in proportion to plaintiff’s own negligence. For example, if defendant was found to be negligent, a jury also determined plaintiff was 20 percent at fault in connection with her injuries (or death), and she was awarded $1,000,000.00, her ultimate recovery would be reduced by 2o percent or $200,000.00 and she would only receive an $800,000.00 recovery from defendant after the adjustment was made. In this tobacco case, the jury awarded $600,000.00 in compensatory damages, and an additional $20,000 in punitive damages. Punitive damages are not available in most cases, as the goal of our legal system is to compensate plaintiffs rather than punish defendants, but they are available in cases where defendants engaged in wilful and wanton disregard for the safety of others, fraudulent conduct, pursuant to some relevant state statute such as Chapter 93A of the Massachusetts General Laws (M.G.L), which allows for treble (triple) damages in some consumer protection actions. In Smith, the jury found plaintiff to be 45 percent negligent and defendant to be 55 percent negligent. Defendant argued in a post-trial motion plaintiff should have her jury verdict reduced by 45 percent so she would only receive $330,000.00 in compensatory damages. Trial judge, however, found since they was primarily and intentional torts case, and not a negligence case, comparative negligence rules do not apply so the verdict should not be reduced. This was the issue on which defendant appealed, and on appeal, the court held trial judge properly ruled in regard to the state law and affirmed the denial a motion to reduce the award for comparative negligence. This is a rather complex issue and there are a lot of fact that would go into the decision of whether a Boston products liability claim could be brought under a theory of negligence or under an intentional torts theory. The best thing a claimant could do is to speak with an experienced Boston products liability attorney about the facts of his or her actual case. There are certain cases that did involve intentional misleading by defendants such as what we have seen in the asbestos industry, but there is no bright line rule as the facts of every case will vary widely. For example, in many dangerous drugs cases, defendants failed to do certain safety testing when they knew or should have known they need to do this testing, but this would likely be an instance of negligence. On the other hand, if it could be established defendant was intentionally committing fraud, it would be a situation where an intentional tort theory might work to plaintiff’s advantage.